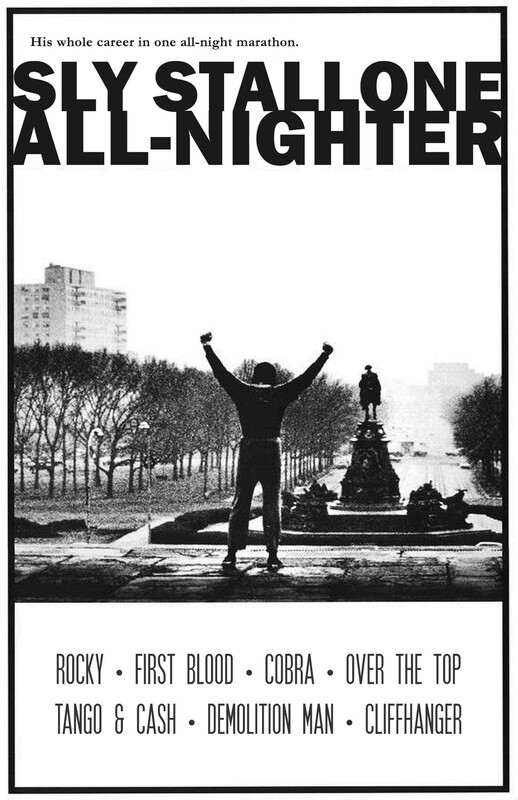 ROCKY  : A small-time boxer gets a supremely rare chance to fight a heavy-weight champion in a bout in which he strives to go the distance for his self-respect. FIRST BLOOD  : Former Green Beret John Rambo is pursued into the mountains surrounding a small town by a tyrannical sheriff and his deputies, forcing him to survive using his combat skills. COBRA  : A tough-on-crime street cop must protect the only surviving witness to a strange murderous cult with far reaching plans. OVER THE TOP  : Tough trucker Lincoln Hawk is determined to win back his son and triumph at the world arm wrestling championships. TANGO & CASH  : Framed by their ruthless arch-nemesis, a mismatched LAPD crime-fighting duo has to put its differences aside to even the score with the evil kingpin who put them behind bars once and for all. DEMOLITION MAN  : A police officer is brought out of suspended animation in prison to pursue an old ultra-violent nemesis who is loose in a non-violent future society. CLIFFHANGER  : A botched mid-air heist results in suitcases full of cash being searched for by various groups throughout the Rocky Mountains. NO ADMISSIONS TO THE CINEMA AFTER MIDNIGHT! NO ALCOHOL PURCHASED FROM OUTSIDE IS PERMITTED IN THE BUILDING!